East Lothian (Scots: Aest Lowden, Scottish Gaelic: Lodainn an Ear), is one of the 32 council areas of Scotland, and a lieutenancy area. For a time, it was also known as Haddingtonshire. The council area was created in 1996, replacing the East Lothian district of the Lothian region. 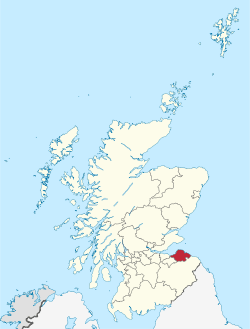 The district had been created in 1975 under the Local Government (Scotland) Act 1973, consisting of the old county of East Lothian plus the burgh of Musselburgh and the parish of Inveresk (which included Wallyford and Whitecraig) which until then had been in the county of Midlothian. East Coast FM (Scotland) is a community radio station run by volunteers which has been broadcasting since 2009 from studios at 8 Market Street in Haddington. The station is registered as a charity (SC042784). An FM Community Radio Licence was awarded to the station in September 2012 by regulator OFCOM and a frequency of 107.6 FM was allocated in January 2013. It is expected that broadcasting on this frequency will start in March 2013. The station can be accessed worldwide across the internet through their website. East Lothian FM is an Online Community Radio Station operated and managed by East Lothian Community Media Ltd. The station started webcasting to the county from their studio at 38 Market Street, Haddington in October 2011 and applied for a Community Radio Licence (on the FM band) during the application period that ended on 14 February 2012. The result of this application will be announced by Ofcom in due course. On the 18th September 2014, East Lothian like most council areas, said "No" in the Scottish Independence Referendum at 61.7% with a 87.9% turnout rate. ↑ "Land Register Counties and Operational Dates" (PDF). Registers of Scotland. Retrieved 26 September 2013. ↑ "Indyref". BBC. Retrieved 19 September 2014.